Desalination has played a crucial role in the unhindered growth of Singapore. It is well known that the Middle East has emerged as the largest market for desalination. Countries in the Middle East, such as Saudi Arabia, UAE, Oman, Qatar, Kuwait and Israel, house some of the largest desalination plants. This helped the region become self-reliant in the water sector. However, the fall in oil prices has decreased national budgets. Under such circumstances, countries in the Middle East are increasingly looking for private sector investment in the form of Independent Water Projects. Rajiv Mittal, MD & Group CEO of VA Tech Wabag, a water technology company, hails sea water desalination the most viable, reliable and perennial solution to meet ever-increasing need for water supply, more so in a country like India which is undergoing rapid urbanisation. He recommends cost-effective ways to harness it. Countries such as Algeria, Morocco and Egypt in North Africa have also made significant headway in desalination. Until now, desalination in Egypt was largely confined to the industrial sector. However, to reduce dependence on River Nile for fresh water, Egypt plans to focus on desalination for the municipal sector as well. Desalination has also played a crucial role in the unhindered growth of Singapore, where 25 per cent of the water demand is fulfilled by desalinated water. Latin America, especially the desalination-intensive mining sector in Chile, is witnessing a dearth of desalination projects due to reduction in commodity prices. However, with the advent of the new water code, and restrictions on industrial use of freshwater sources, industrial demand for desalination is expected to rise in the long term. Numerous desalination technologies have evolved over the years. However, thermal desalination and reverse osmosis (RO), a membrane-based technology, have continued to dominate. Thermal desalination has been in use for decades, and accounted for around 70 per cent of the global desalination capacity by the late '90s. However, RO has gained momentum over the years due to continuous improvements in technology. In addition, thermal desalination is feasible only when there is surplus steam since steam production is an expensive process. The deployment of membrane technologies has proved to be cost effective, thus increasing its market share. As per the IDA Yearbook, membrane-based technologies hold 93 per cent of the global market. Technology forecasts also predict increased use of membrane-based technologies. Currently, the global cumulative contracted desalination capacity is in excess of 80 million m3/ day, expected to go beyond 90 million m3/ day in the next couple of years. More than 85 per cent of this capacity is expected to be installed using RO technology. India is a country devoid of perennial water resources. The burgeoning population in the country is increasing the pressure on freshwater sources. Water is integral to sustaining the economic growth of the country, since most industries are water intensive. Uninterrupted water supply is essential to support the rapid urbanisation and industrialisation. In such a context, desalination stands out as an assured and consistent solution. The financial viability of options resorted to over the years is far lower - a bubble top can for potable usage costs 150 paise/ litre; tanker water costs 15 paise/ litre; while wagon water, that was used in Maharashtra to provide water to Latur, costs 58 paise/ litre. Comparitively, superior quality potable desalinated water costs around 5 paise/ litre. The design, build, operate and maintain (DBOM) model is best suited for a desalination project, considering that water as a commodity is heavily subsidised in a country like India. Due to this subsidy, one cannot compare surface water cost with desalination water cost. Having said this, we know that power component constitutes almost 60 per cent of the operating cost in a desalination project. Innovations such as low-energy membranes, better engineering, employing energy recovery devices, and other innovations such nano-particle membranes would bring down this energy cost. Economies of scale can decrease lifecycle cost. 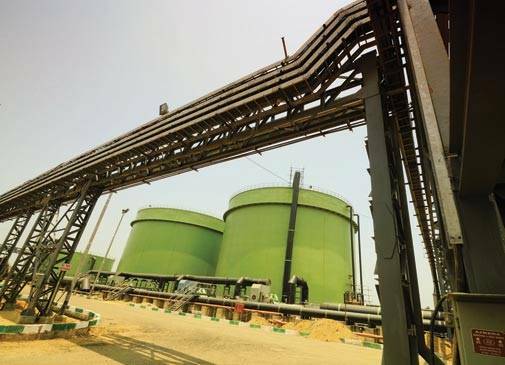 The increase in scale due to execution of large-sized plants brings down the overall cost. Fall in production cost of membranes, steel and other raw materials, as well as the increase in efficiency of membranes, help in reducing the costs. More importantly, since water is equally important for both industrial and municipal sectors, utilities can cross-subsidise the water tariff. The higher levy on industries would enable utilities to subsidise the tariff for households. Industries would welcome this model considering that desalination ensures water security. Intermittent water supply is known to cause losses amounting to thousands of crores in a majority of industries. People must also be sensitised to the fact that water is a privilege and not a right. This needs to be signaled by means of rationalisation of tariffs on a consumption basis for households. This will be a significant step in transforming a city into a smart city. Take Chennai, for instance. The city faced acute water shortage at regular intervals in 1983, 1987, 1993, 2001, 2004, and in the later part of 2012. The cumulative storage in the four major reservoirs supplying water to the city during January 2003 was only 30 per cent of the storage capacity, and it reached the dead storage level in 2004. Given the alarming scenario and limited freshwater and reliable source of water supply, the government set up two mega desalination plants which have considerably improved the supply position. Presently, Chennai fulfils around 30 per cent of its water demand by desalination. Even today it experiences a shortfall of around 300,000 m3/ day, but the government is convinced that desalination is the road ahead. It has two more plants in the pipeline. This will not only bridge the present supply-demand gap, but also provide water security - necessary to sustain the city's growing requirements. 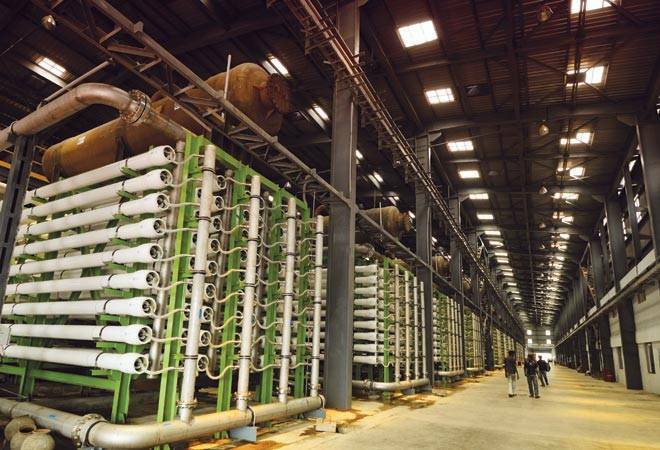 Chennai holds the distinction of being the first city in India to adopt desalination, and of propelling India into the global desalination map.